Welcome to the Honey Springs where the gossip is as hot as the coffee. 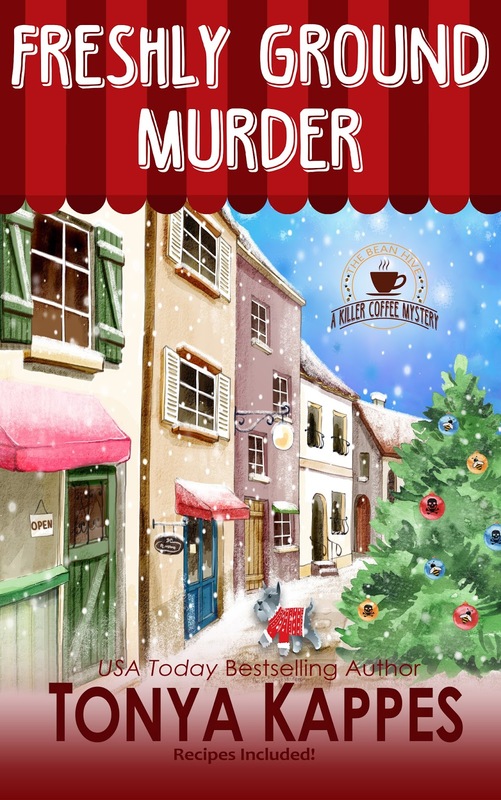 A Killer Coffee Mystery Series is a cozy mystery series where the amateur sleuth is Roxanne Bloom, owner of The Bean Hive. Along with Roxie is a cast full of southern, loving, charming and unique characters to add to the quirky lakefront town. 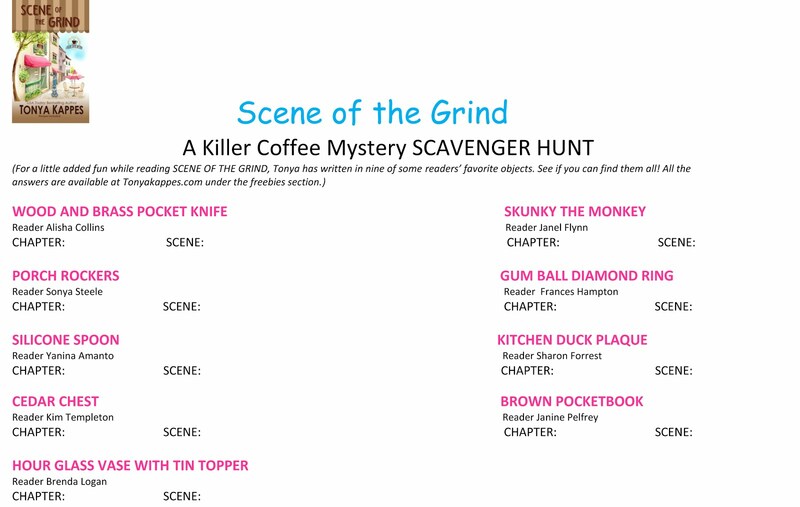 Scene of the Grind is the first in USA TODAY bestselling author Tonya Kappes' new A Killer Coffee Mystery Series. The series takes place in the cozy southern fictional tourist town of Honey Springs, Kentucky. Roxanne Bloom (her friends, though few call her Roxie) quit her job as a lawyer, divorced her cheating husband, and moved to the quaint town of Honey Springs, Kentucky where she'd spent many of her teenage summers visiting her eccentric and fun-loving Aunt Maxi. 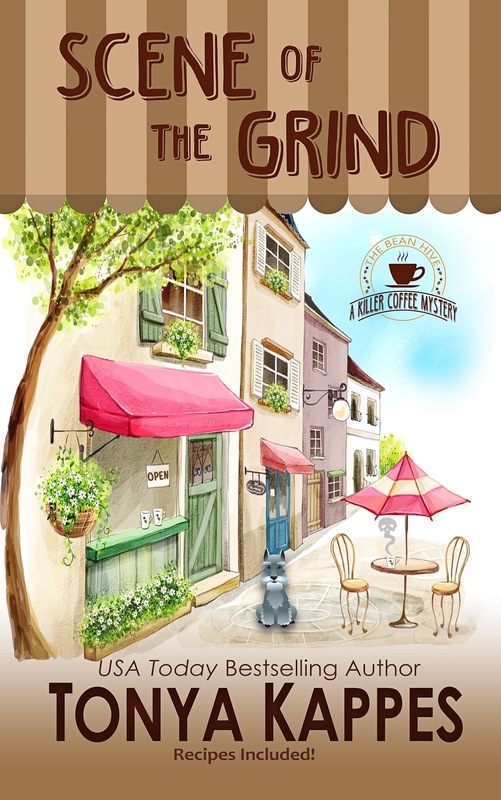 Roxy follows her dream and opens The Bean Hive, Honey Springs first coffee house on the town's newly revitalized boardwalk. that opens just in time for Honey Springs annual Honey Festival. Roxy's life couldn't be better. Business was booming, she's reconnected with special people from her past, including her first teenage love, and visits The Crooked Cat book store, which is still her favorite shop in Honey Springs. One problem, Aunt Maxi and Alexis Roarke, owner of Crooked Cat, aren't on the best of terms. Alexis leases the book store's building from Aunt Maxi and the rent is going up. Roxy takes Alexis a fresh cup of coffee from The Bean Hive and a tasty pastry as a peace offering between the two women, but discovers the beloved book store owner murdered and Aunt Maxi is the number one suspect. 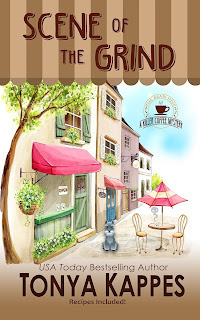 Gossip in Honey Springs is as hot at the coffee served at the Bean Hive and Roxy has to uncover who is behind the murder not only to save her shop, her aunt, but her life. 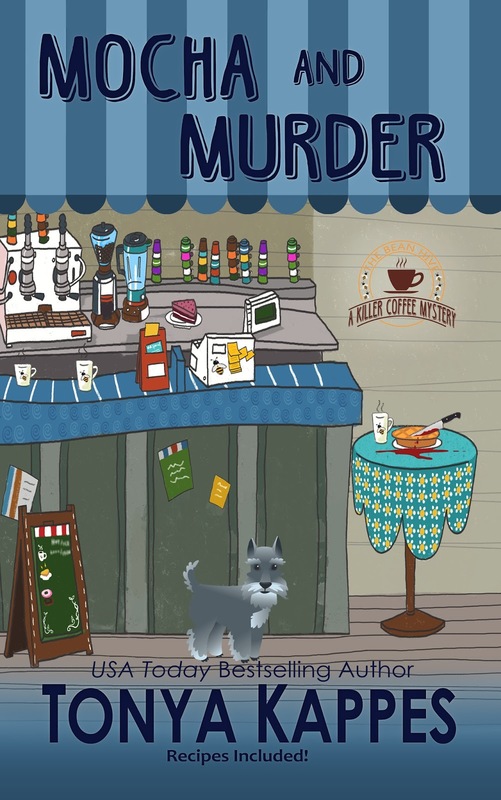 Roxy becomes entangled in another murder as she puts her sleuthing skills to work in order to prove that Louise Carlton didn't kill Fred Hill over a pet adoption gone wrong. After all, if Louise goes to jail, who is going to find all the animals at Pet Palace a home. The holidays have arrived, and nothing is going to steal the joy of Roxanne Bloom’s first Christmas in Honey Springs. The town’s annual Christmas in the Park is underway and includes a Christmas Pawrade that’ll help the furry residents at Pet Palace get a home for Christmas. It’s not the four-legged creatures that steal the show, it’s the pair of legs sticking out from the Christmas tree lighting ceremony that has all the town talking. 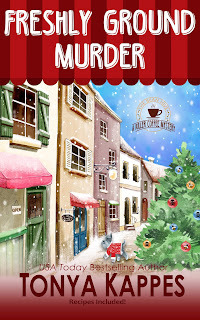 The suspects are piling up faster than the falling snow, while a murderer is on the loose. Roxy can’t let this ruin her first Christmas in Honey Springs and soon realizes it’s the ghosts of Christmas past that holds the real clues. But can she get this mystery solved in time for the holidays? Includes Holiday Recipes from The Bean Hive! Join Tonya's FREE Facebook Cozy Krew Group. Click the photo for a free download to play. 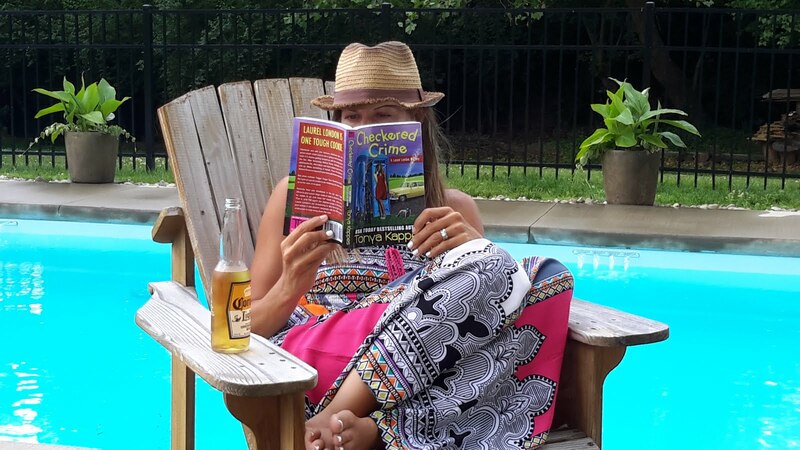 Check out Tonya's other Southern Mysteries!